The owner has recently installed a new water pump, new risers and manifolds, new spark plugs, oil change, and a new bilge pump! All just normal maintenance that should be occurring at this point in the boats life. 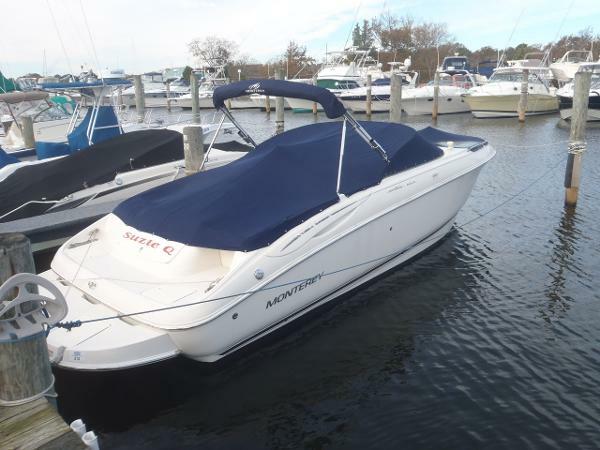 Stock #160764 Last Fall had all the major maintenance done on the engine - new water pump, new risers and manifolds, new spark plugs, oil change, new bilge pump If you are in the market for a bowrider, look no further than this 2002 Monterey 248 LS Montura, priced right at $20,000 (offers encouraged). 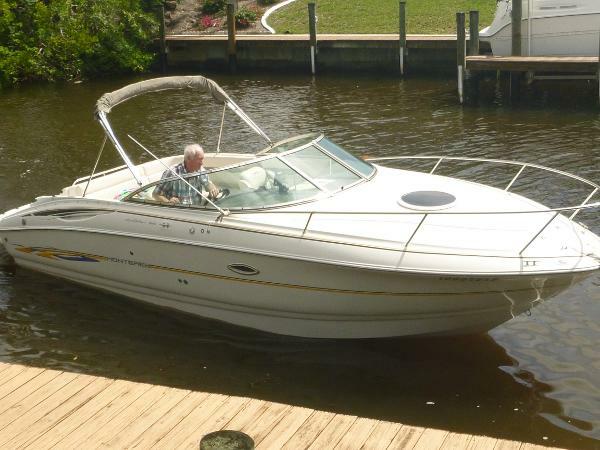 This boat is located in Rockledge, Florida and is in good condition. She is also equipped with a Volvo Penta engine that has only 200 hours. Reason for selling is ready to sell!. 2005 Monterey MONTURA 248 LS Actual Condition This Montura 248 LS suffered an engine compartment fire. The suppression system did extinguish the fire. There is fire and soot damage in and around the engine compartment. The rest of the hull shows decent.Make an Offer! EquipmentA trailer is not included in this sale. Engines Please read Motors and Machinery Disclaimer. Motors and Machinery DisclaimerNo statement of condition can be made regarding motors, engines or machinery, whatsoever. A photo may appear of the engine compartment and machinery, but it is entirely the buyers responsibility to inspect and determine their actual condition. 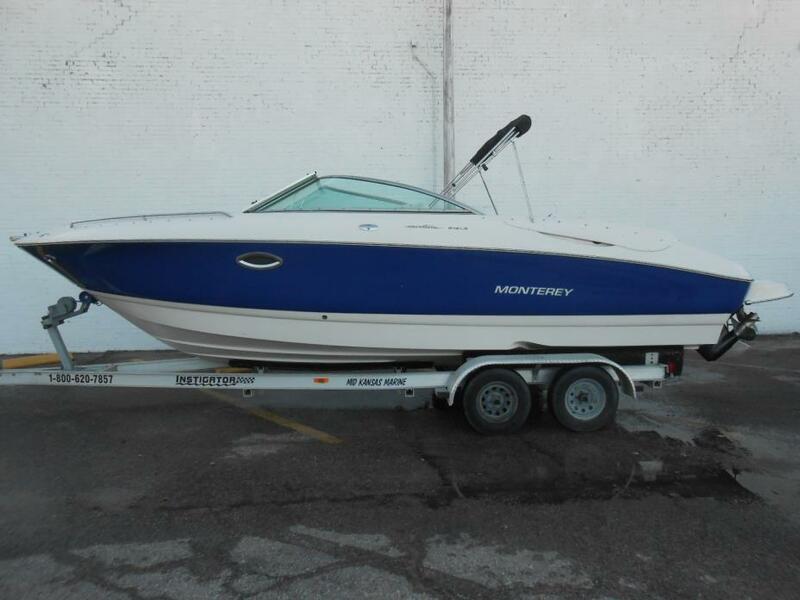 2006 Monterey 248LS Montura Bowrider Nice Mid-Sized Bowrider, with Mercruiser 350 MPI, with low hours. Bimini Top, GPS. 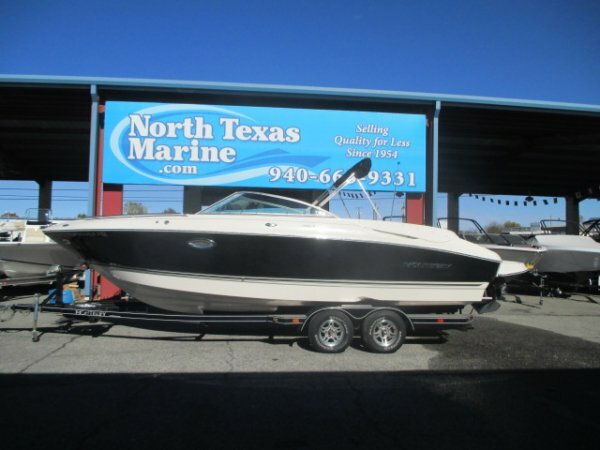 2006 MONTEREY 248 LS, The 248LS is perfect as a day cruiser and can accommodate up to ten passengers along for the ride. For those extended hours on the water a porti-potti comes standard, which we?re sure your family or guests will highly appreciate. When you and your crew get thirsty there?s a handy wet bar in the cockpit which also comes standard. There?s an integral swim platform with a ladder for the water lovers and a ski rope locker to store watersports equipment. 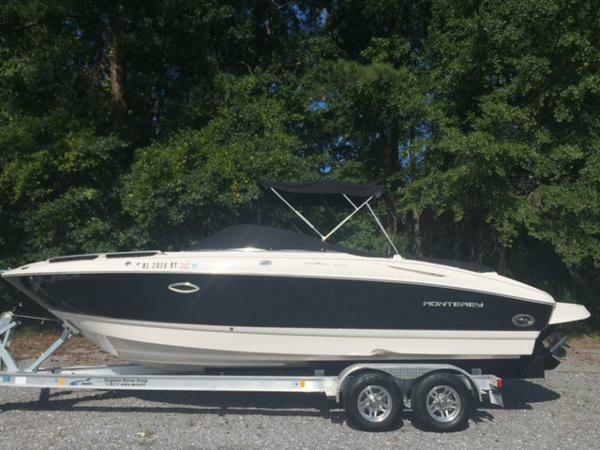 The 496 Magnum by Mercruiser sends 375 HP to the Bravo III outdrive.The trailer you see here is included and comes with a spare tire and swing-a-way hitch. 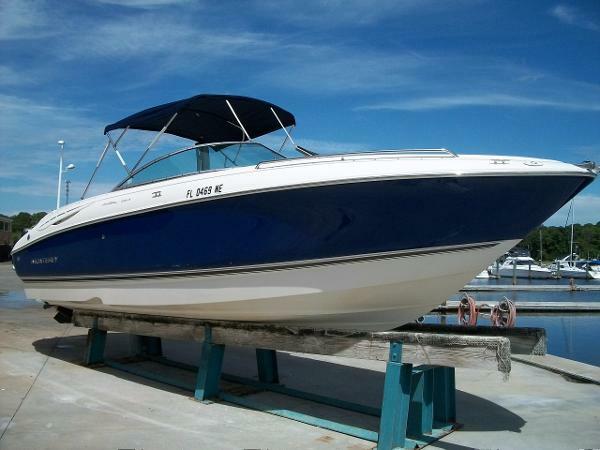 2004 Monterey 248 LS, 2004 Monterey 248 LS equipped with Mercruiser MX 6.2 inboard/outboard motor. 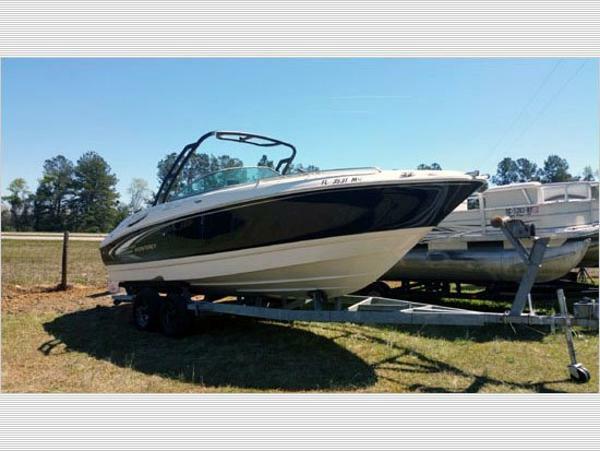 Boat includes radio, 4 speakers, extended swim platform, front & rear ladders, portapot, sink in cabin, sink on deck, and tandem axle trailer. 11 person capacity. Please call before coming to view as our inventory changes location frequently. 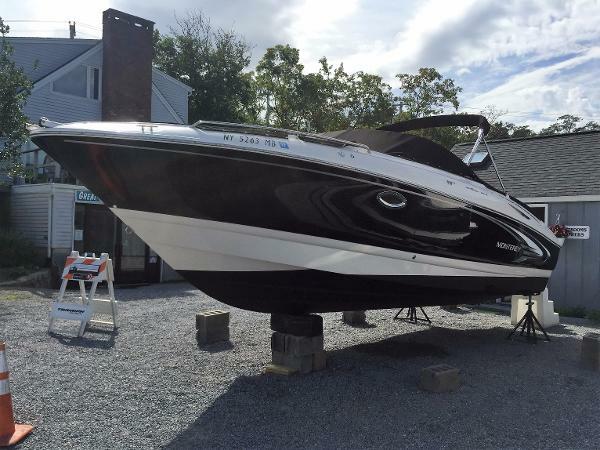 2004 Monterey 248LS Montura Cuddy Professionally maintained by Rex Marine, this lightly used 24' cuddy cabin model is available for inspection at our yard in Norwalk, CT. Her trailer is available for additional cost, please inquire for details. 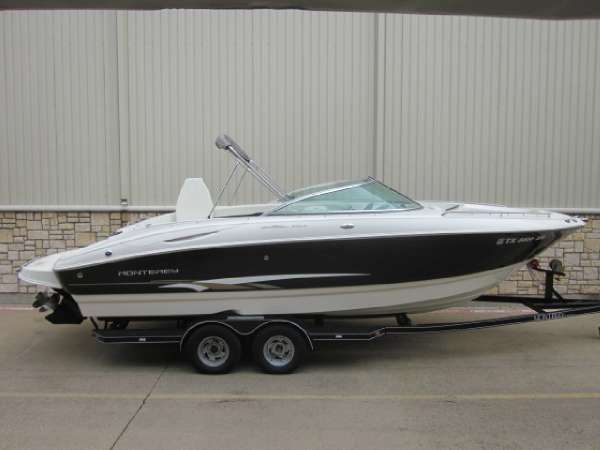 2004 Monterey 248 LS The 248LS Montura is a versatile bowrider that will satisfy everyone’s needs in the family. 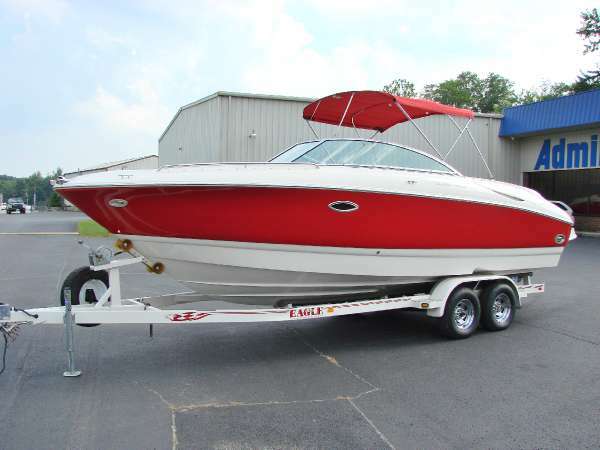 She’s an attractive sportboat with seating for up to ten. 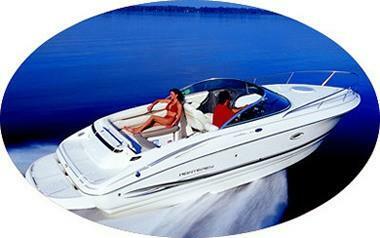 The 248LS is perfect as a day cruiser and can accommodate up to ten passengers along for the ride. For those extended hours on the water a porti-potti comes standard, which we’re sure your family or guests will highly appreciate. When you and your crew get thirsty there’s a handy wet bar in the cockpit which also comes standard. There’s an integral swim platform with a ladder for the water lovers and a ski rope locker to store watersports equipment. 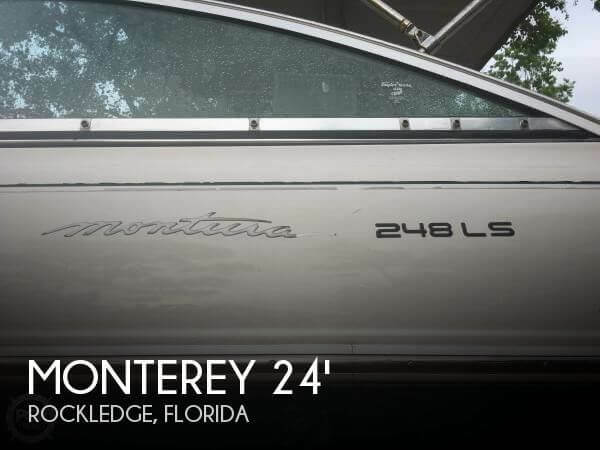 2006 Monterey 248LS Montura Just Reduced, Offer Encouraged! A very clean example of the popular Monterey 248 LS. 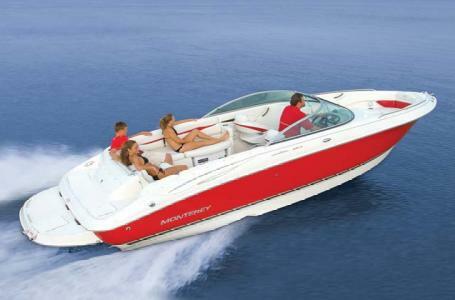 Power is provided by the 260hp MerCruiser 5.0 MPI mated to the Bravo III sterndrive with counter-rotating SS propellers; engine hours are 410. The interior of the boat is like new, because it is! The owner had all-new custom interior upholstery installed in June of 2016 and it look fantastic. The interior features a full hull liner and self bailing cockpit. There is plenty of room for 8 people seated on the boat. Additional features include an enclosed head, wet bar, two cooler and two in-deck ski/storage lockers. 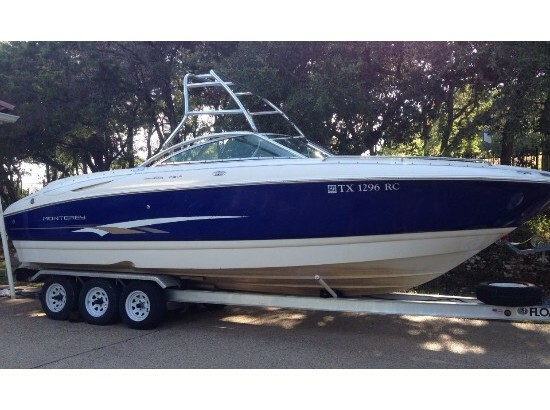 Overall condition is excellent with only some minor dock rash around the waterline. Call today for more information.